I’ve missed my markers! What can I tell you? It’s two steps forward and then one step back here. My steps forward were actually using Graphite Pencils, my step back was running back to my marker stash first chance I got. Gotta have my color. My pretties! Pictured above are my Faber-Castell Brush tip markers! Love their vibrancy, their energy! There’s not much that makes me happier than outlining with the standard black Indian Ink Faber-Castell PITT pens! I can trust them to do the job. I don’t use the Sharpie Poster Paints as much as I’d like. I tend to forget I have them. As you can see they are of the broader variety. A bit chunky to carry around in my little marker-case. Talk about versatile! These Sakura Microns fit the bill. They have all sizes of nibs and a decent selection of colors. I only wish they sold them individually where I live because I tend to use one over and over. When the ink runs out I have to buy the whole set for just one replacement marker. I’ve only been in a few Art Stores that have their inventory set up to purchase these singly. Sharpie Ultra Fine Points…..they do everything and everyone has some. They are cheap and reliable. What more could I want? Bic Mark-its are another inexpensive & dependable marker. Staples will sell these individually but it’s not the ultra fine nib which I always prefer! Maybe someday they will. Here’s my little doodle’d Art Journal page for the day. A Mental Health Exercise! Please tell me of other markers that you prefer. I’ve only got one COPIC marker, does anyone use these regularly? Are they worth the money? I love your stash of markers! 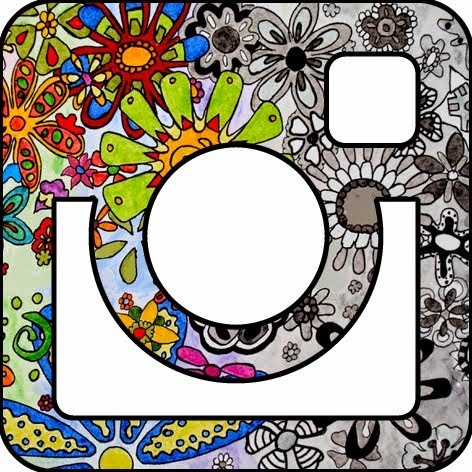 And really like the colorful "doodle". I like Pitt the best, but sometimes use Sharpies. That's quite a collection! I'm currently using watercolor pencils on my doodles. I'm into soft colors right now. Have you checked out Jetpens? They carry the Sakura Pigma Microns individually for something in the $2.25 range. (www.jetpens.com) Unfortunately for my wallet, there's always something new and tempting on this site. Plus, the people are really nice! WOW!!! I am SOOOOOO envious of your pen collection! I love my Pigma Micron pens for sketching and zentangles but I only have them in black. 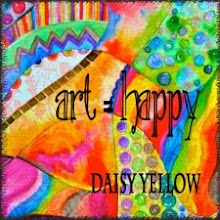 Your art journal page turned out vibrant and beautiful.....EYE-CATCHING! I love this piece, it is so vibrant. I love the quotes you used too. Your marker collection is so impressive. My daughter uses the copic markers and loves them. She does Anime like drawings with them. She can layer colors really beautifully. She does use the copic paper though because I think their colors are so vibrant that they can bleed through regular paper. you can also refill them. If you want to know anything else about them let me know and I will ask her. You can buy a lot of those markers as open stock from Blick.com. Not a big fan of the Micron brush markers - they smoosh way too quick for my tastes. Wow! To both your pen collection and the doodle! I have some Microns and Sharpies and I have a huge set of Prismacolor markers. I would love to use the Copic but my wallet keeps groaning when I consider them!! For now, I'm a Sharpie girl! Just purchased the Caribbean collection. BTW, I'm in awe over the doodle d'art. Which markers did you use for this one? Graffiti: Is it Art or is it Vandalism? You’ve got to meet Robin…. Are you a Pinning Participant? all i did was listen is MOVING TODAY + a week of scrumptious DAILY GIVEAWAYS starting NOW! This is a Flickr badge showing public photos and videos from A-dab-adu. Make your own badge here.